Natox says that it is the alternative to getting Botox treatments, and provides similar if not better results. They say that it’s all done with organic and natural ingredients as well, which sets it apart from many of the anti-aging products out there that claim to be all natural, but do not go as far as saying they’re organic. So how well does this really work on actual people? If you’ve considered getting Botox in the past, or even if you’ve already gotten it, you know that it’s not the best solution in the world for fighting the effects of aging. For one, it’s completely unnatural, and it’s also rather expensive, and you have to keep going back again and again as it wears out. There are many products coming out that say they’re able to smooth out fine lines and wrinkles caused by age, but many of them get exposed as being useless, and a waste of money. So we had to see what makes Notox different, and why someone would be persuaded to buy it. 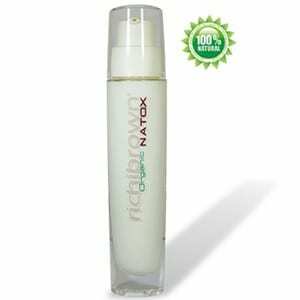 Natox says that by using it you’ll be able to have a visible reduction in the lines on your face. They say it improves your skin by hydrating it, which gives more radiance to your complexion. They also state that it reduces the size of your pores, which increases the clarity of your skin. They say you’ll be able to notice that your skin and more soft and smooth to the touch, and that it looks more firm and plump where it should. The overall claim is that you’l end up with skin that looks younger, is more elastic, and you’ll have more collagen than you have now. And they say you can achieve all of this with a product that is organic and all natural. While these are common claims of many anti-aging products out there, this is one of the few, and possibly only organic options available. By being organic you are avoiding rubbing things like herbicides and pesticides into your skin, which is definitely important. Any time you claim that you are a better option than going with a popular cosmetic treatment, you are going to turn a few heads. Surely that’s what they are trying to do here, because many people are familiar with both the positive and negative aspects of getting Botox done. By comparing and contrasting their product with Botox, they are doing a pretty good job of generating some hype around it. Natox is $140 which includes shipping anywhere. They include a no-hassle 60 day money back guarantee, and say that there’s not a lot of fine print to it, if you don’t like it you don’t have to pay. You’ll at least want to use this as directed for two straight months to see if you get results, and to hold up their end of the money back guarantee. It’s something that you’ll need to apply repeatedly day after day in order to get the sort of results that you would from a clinical procedure. That’s the trade off to using something that is all natural, you might not get immediate results, but you’re also not subjecting your body to a bunch of synthetic substances injected into your skin. How unnatural is that? Natox says it is clinically proven, and they even provide the study results from a test that was conducted over a period of four months. They tested 64 people against a placebo and found that it worked far better than using nothing at all. Many of the lines that people are most concerned about, like frown lines, and the wrinkles that start to form on the upper lip. If it’s showing these sort of results within three weeks, 60 days should be plenty of time for you to calmly evaluate it and decide if you want to keep it, without freaking out about losing your money on something that doesn’t work. Even with everything that this product has going for it, there’s just no way to guarantee that it will work for you. That’s why it’s good to keep a level head, and not get emotionally attached to the outcome of whether it’s going to work or not. There will be those that it doesn’t have an effect on, but they’re in the vast minority. If there were a product that worked for everyone every time then it would gain national attention overnight. We like what richibrown is trying to do with Natox and are giving it our Thumbs Up rating. It’s rare to find a company that cares enough about its customers to make a product that is organic and all natural. Not only that but it’s also not tested on animals, leaves a small carbon footprint, and is something that you could use for the long term and not have to worry about any negative effects. Compared to getting Botox, this is the clear winner. It’s the pain free alternative for one, but mainly if you were concerned about having someone inject you with a substance that we still don’t know a lot about, or worried about getting a botched Botox job like many celebrities end up with, or worried that you’ll lose the ability to smile or to use facial expressions, this is the way to go. What do you think? Does Natox work or not? Does Lifestyle Lift Really Work? Does Natural Advantage Really Work? I would be very cautious about buying any products from this company The Richi Brown products where touted through a company John Richardson (Company owner) was involved with. The effectiveness of the products where in question. I would seriously question his integrity especially if you have to ask for a refund. Basically any alternate Boots or high street product would be as effective. I have refused to do business with this character.